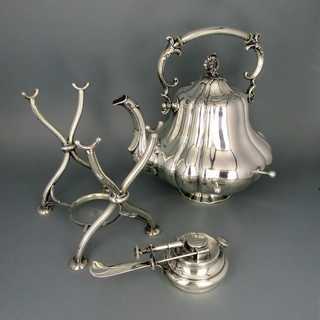 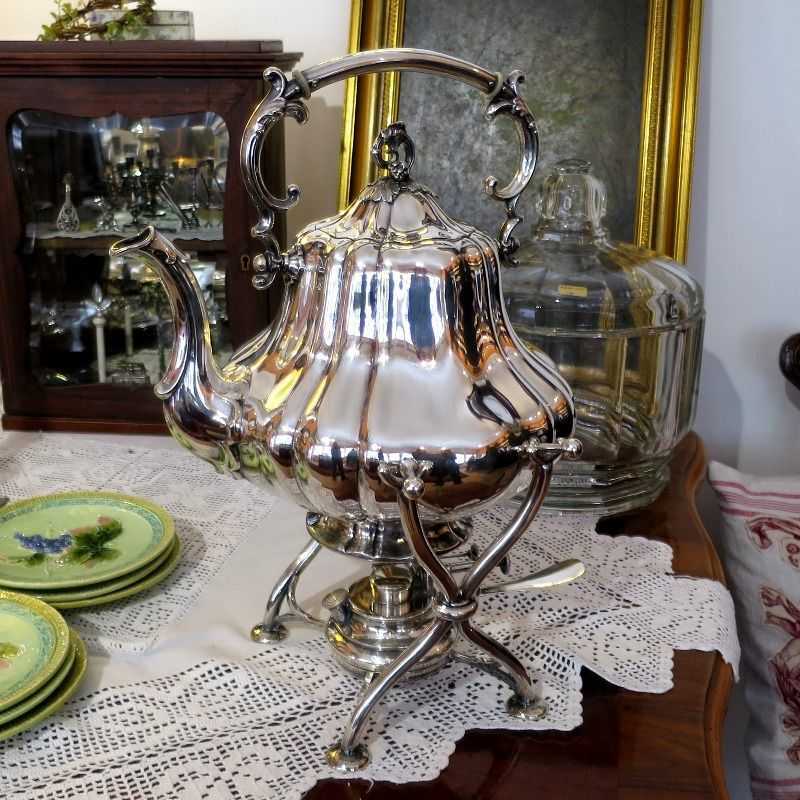 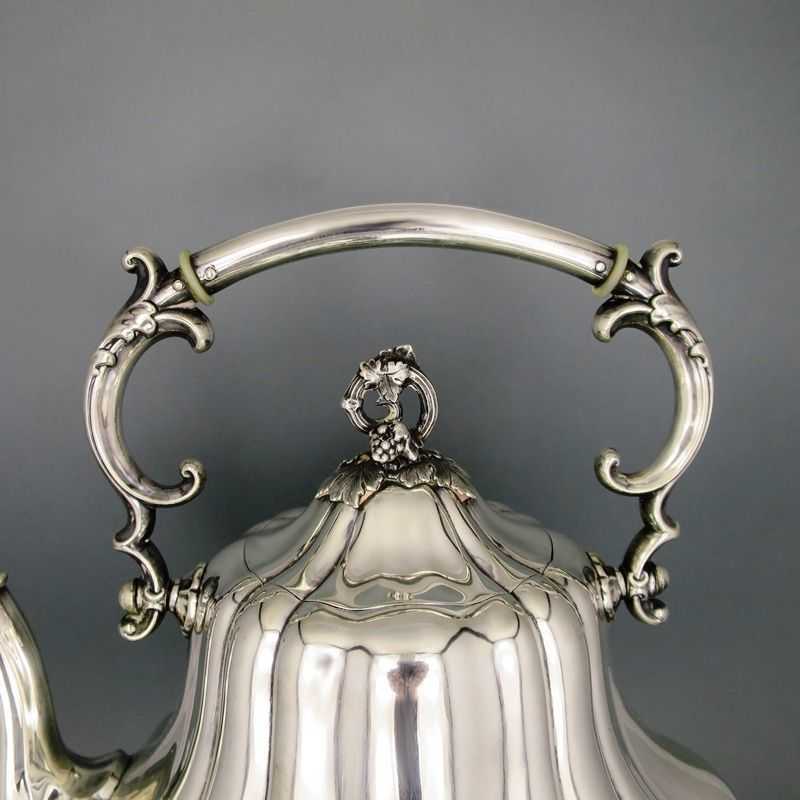 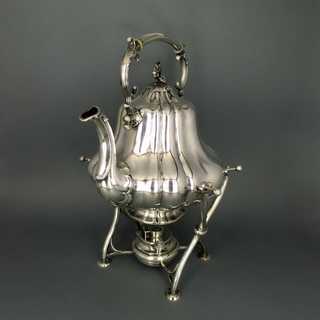 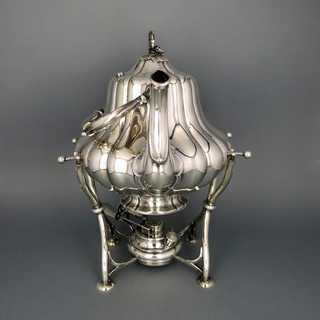 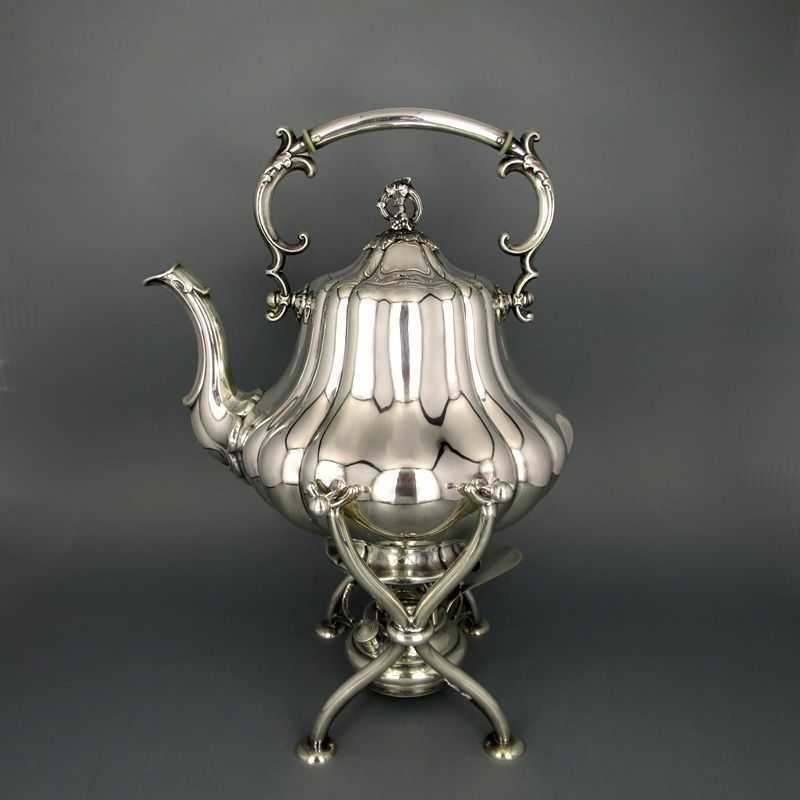 Wonderful tilting tea pot from the Art Nouveau time. 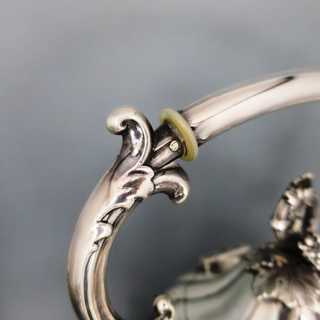 Voluminous body with bulging base; high domed hinged lid with wine tendril knob. 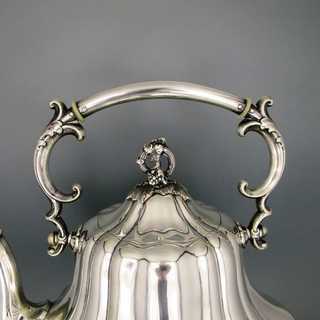 Long, curved spout. Foldable, high handle with acanthus relief decoration and isolating slices. 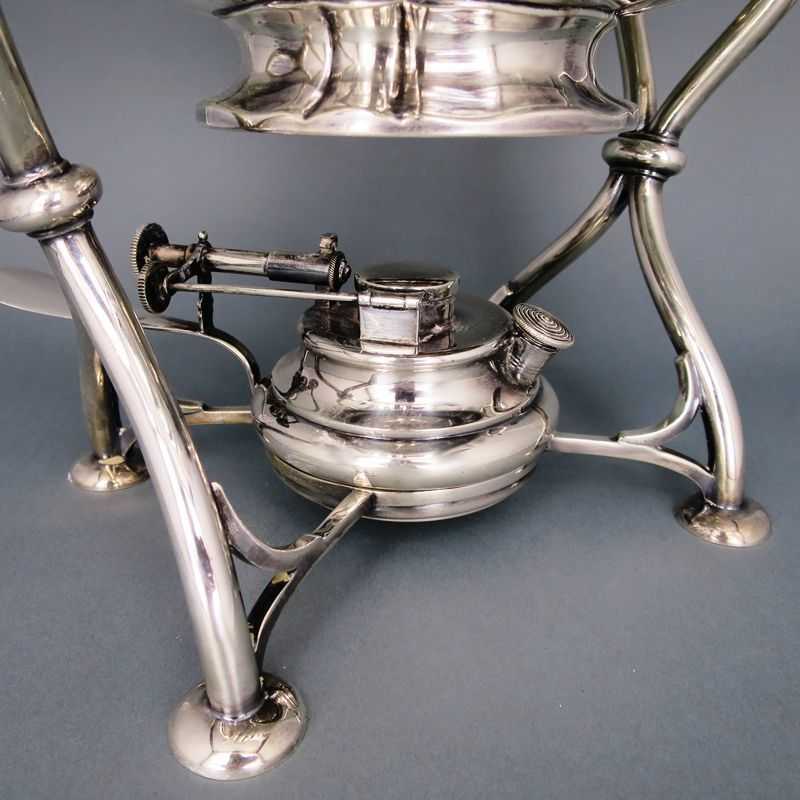 Four knobs for tilting. Curved warmer with four flat feets and holder for fuel container. 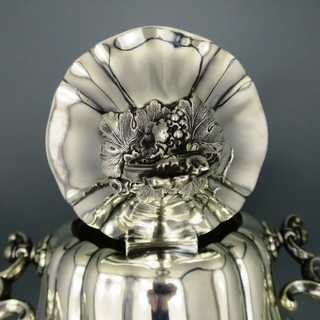 All elements in massive silver. Marked, made by the famous german silver manufactory of Peter Bruckmann in Heilbronn, about 1900. 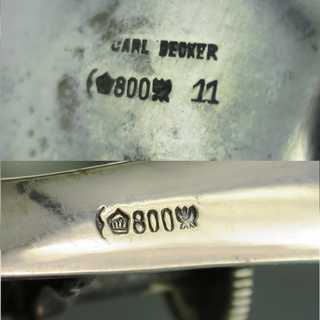 Sold in the exclusive store of Carl Becker in Köln.